I looooove avocado. Growing up, I remember eating it mashed up with sugar and condensed milk. A lot of people outside Asia can't imagine eating avocado sweet, but it's THE BEST! Avocado smoothies, ice cream- gimme all of that! I also like it with eggs and toast, by itself even, and of course, as guacamole. Scoop out all the flesh from your avocado and squeeze juice of one half of your lime to stop it from turning brown. Mash your avocado gently if you want it chunky, and then incorporate all other ingredients except the coriander. 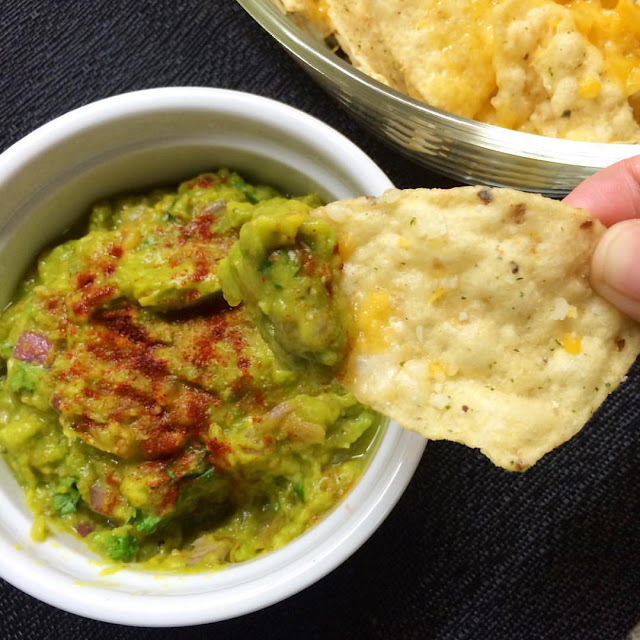 Combine by hand for chunky guacamole, or pulse in a food processor for a creamy version. Add coriander last minute and combine.